Looking for an individual who has experience with center pivot, side roll and flood irrigation. 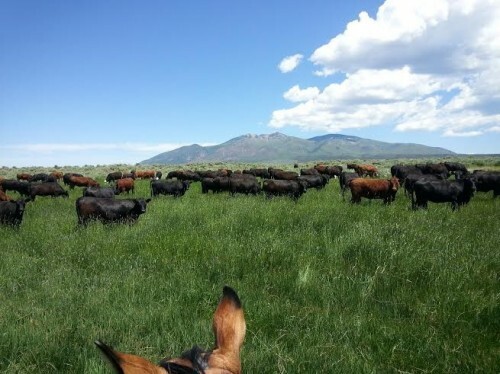 Successful applicant will be proficient in or willing to become proficient in chemigation, fertilization, alternative soil amendments, use of minimum tillage and cover crops as they relate to building soil health and producing forage for livestock grazing. Successful applicant will have a passion to experiment with mob-grazing, non-conventional and non-traditional cultivation practices to stimulate and build soil health resulting in improved forage production and returns per acre. Successful applicant will have working knowledge and disposition to use low-stress livestock handling principles when working with livestock. If you are progressive, open-minded, and believe this position may be a good fit for you, we would be pleased to have you apply. Optimum forage production with available water, inputs and management. Use livestock to build soil heath and generate sustained profits. Manage flood, side roll and pivot irrigation/supervise irrigation labor. Assist in creating and implementing a soil improvement program (SIP). Basic equipment operating and maintenance skills. Responsible for scheduled maintenance, service and recordkeeping on vehicles and equipment. Assist with feeding, moving, processing, doctoring livestock. Assist in creating systems to manage, maintain and improve irrigation, soils, plants, equipment and cattle operations.